In “The Extortioners” evidenced and dissolution of political society space is accentuated in a simulated country where any reference to chance is deconstructed and in which the characters represent their own process of enunciation, its own discursive structure, becoming witnesses and doers of the socio-cultural life of their country. In the story the boundary separating the imaginary from the real, to rethink the tension between politics and economics, commitment and reality through an excuse, where a man becomes wrapped in a troubled relationship between law is cleared and transgression and is blackmailed by a young, poor example of what you can do to get rich at the expense of whatever. This history as a body shaken by extortion becomes a reflection of citizens who recognize incomplete, but in turn willing to break the bonds that oppress through another system that defines not mutilate, without division, which propose answers to the questioning of the ruling political ideology. So the text is no longer full meaning, to make way for the inquiry, where the characters are alone ironically, to the extent that it promotes in the reader the desire to participate actively in the proposed dialogue, where Luis Ortiz assumes the risk of using the refined word for points closer to the limit where the cruelty of the political system. 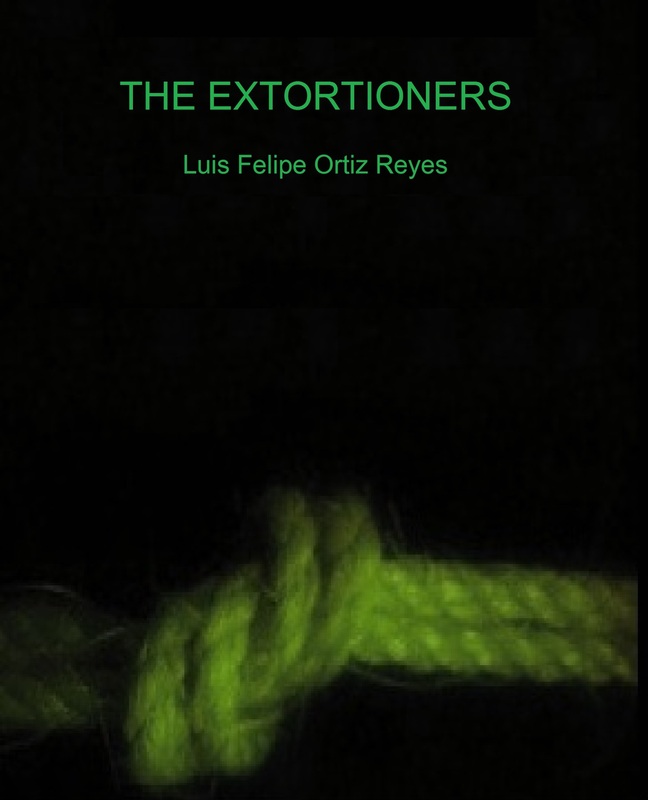 The story evoked in “The Extortioners” is a bitter satire where the narrative discourse is conducted to show the deterioration of a country and its people, caused by bad policies driven by their rulers. It is a discussion of how the policy is part of everyday life about how often unseen that has always done politics, gestures and words as much as in the acts not only of criminals, rulers and dictators, but of us, good men.